4 cooktop elements One 5,000 BTU burner, one 9,500 BTU burner, and two 15,000 BTU burners. 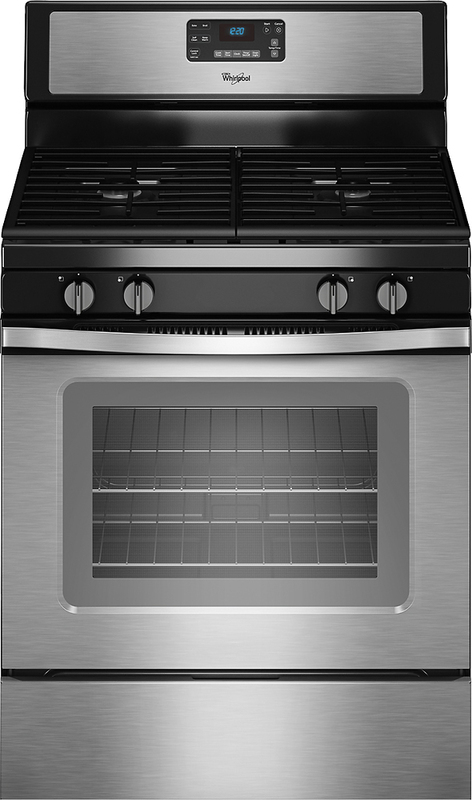 Sealed burners Eliminate the space between the burners and the cooktop to keep spills from spreading. Cooktop's hidden bake element keeps cleaning simple The oven's heating element is hidden underneath the cooktop, providing a flat cooking surface for easy cleaning. 5.0 cu. 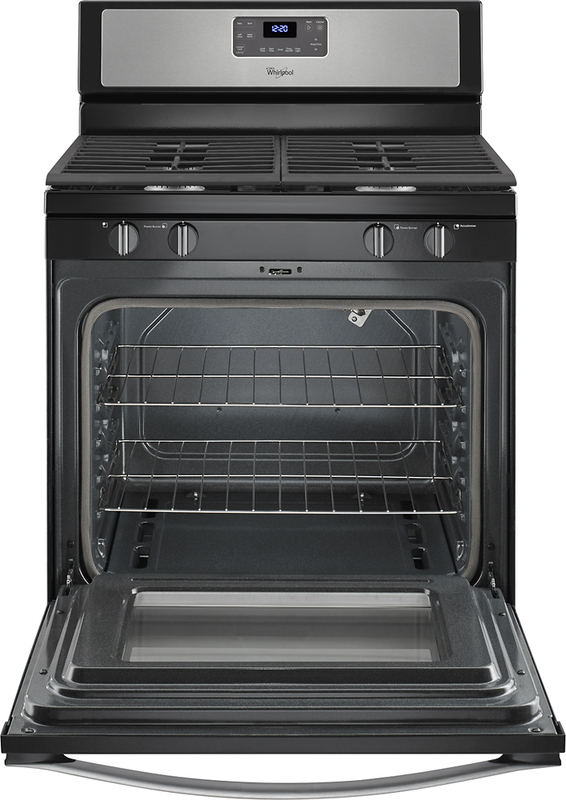 ft. oven with 2 adjustable oven racks Accommodates multiple courses simultaneously, so you can cook for a group in less time. Storage drawer Provides a convenient place to store cookie sheets and cooling racks. 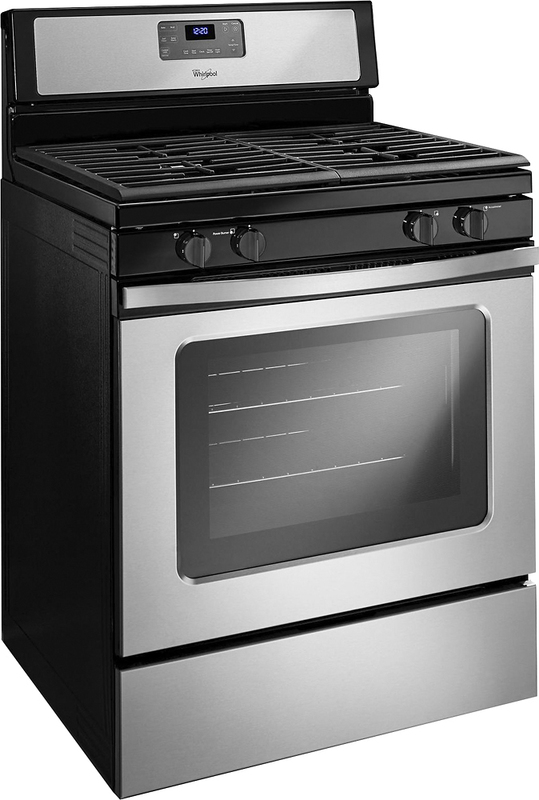 Continuous grates Allow for easy movement of pots and pans between burners. Extra-large EasyView window and interior oven light Let you keep an eye on food being cooked without opening the oven door and letting heat escape.